1. Ba Vi National Park: Only 50 km away from Hanoi to the west, Ba Vi National Park Tan Linh commune, Ba Vi district, Ha Tay province. The spectacular landscape of mountains and forests, diverse natural scenery, fascinating flora and cool climate all year round is suitable for families and rest. 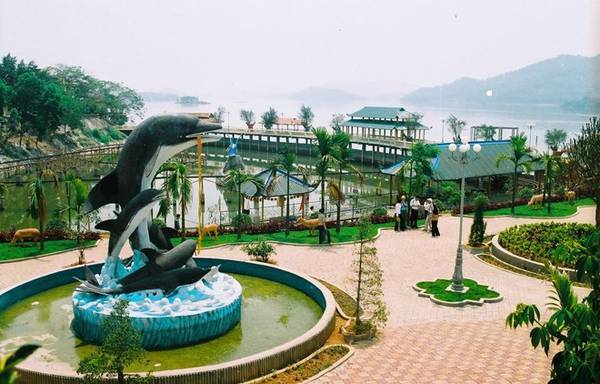 Here there are many entertainment venues, such as amusement attraction blue cabin, Suoi Tien, King Pond, Waterfall Ivory, Suoi Ngoc … and many resorts, diversified services. 2. Kim Boi Mineral Spring, Peace: This is a system of natural hot mineral springs dermis commune, Kim Boi district, Hoa Binh province, about 70 km from Hanoi along Highway 6. Go outside spring bath here, relaxing spa massage, you can organize barbeques, camping, cultural exchange, or enjoy the dances unique art. Photo: Sovanhoa.hoabinh.gov.vn. 3. 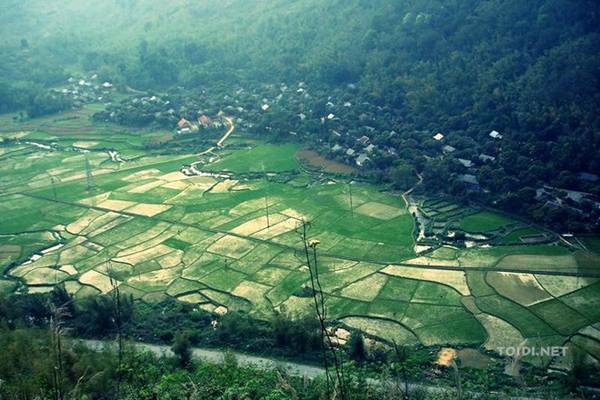 Valley of Mai Chau, Hoa Binh: From Hanoi after 70km to Peace, you will take an additional distance of 60 km to reach Mai Chau valley, where rice fields, valleys with green forest leaves, feeling strangely calm. You can choose to relax in the airy floor clean of the locals, or luxury resorts. 4. 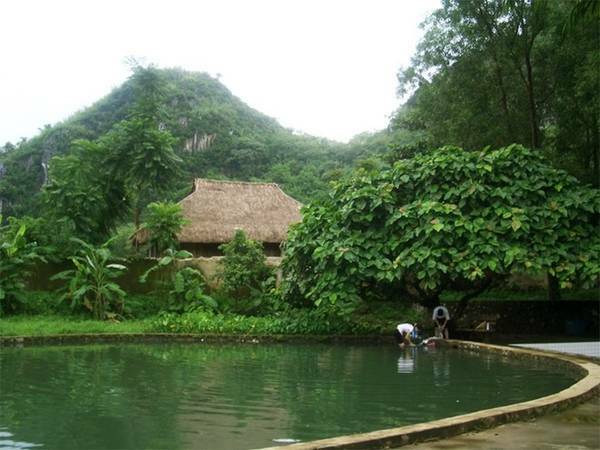 Thung Nai, Peace: Located 100 kilometers from Hanoi to the northwest, Thung Nai – a commune in Da river reservoir – also a bad choice for you. Dubbed Halong between Peace, love this place painted glass, cool fresh air. 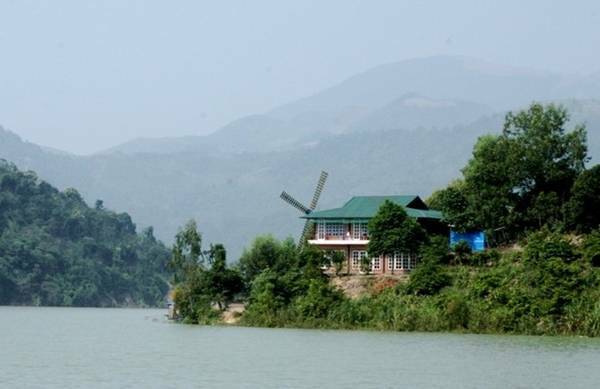 Thung Nai very suitable for families coming into the weekend, with activities canoeing fishing, visit the Black River reservoir, Falls Coast floating market, Crow Island, or visit the Muong. 5. 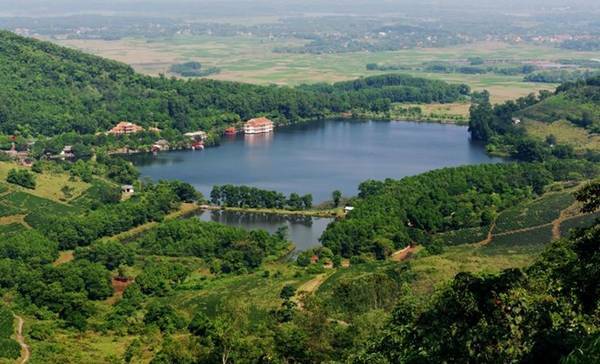 Nui Coc Lake, Thai Nguyen from Hanoi 100 km, Nui Coc Lake is an artificial freshwater lake tied to the legend of the man and her Brew Co., with its beautiful natural scenery, cool climate fresh, so different from the urban place noisy dust. Here, you can go sailing around the islands, have fun at the water park, or visit a tea plantation Xinjiang, campfire or enjoy the specialties.